There is nothing like sipping on a cup of hot coffee while listening to the pitter patter of rain. Rain is finally here in Sunny California and I’m enjoying the small amount we get each year with hot coffee in hand. The French introduced coffee to Vietnam in the late 19th century. With the lack of fresh milk and proper storage, sweetened condensed milk became a popular substitute as both sweetener and creamer. 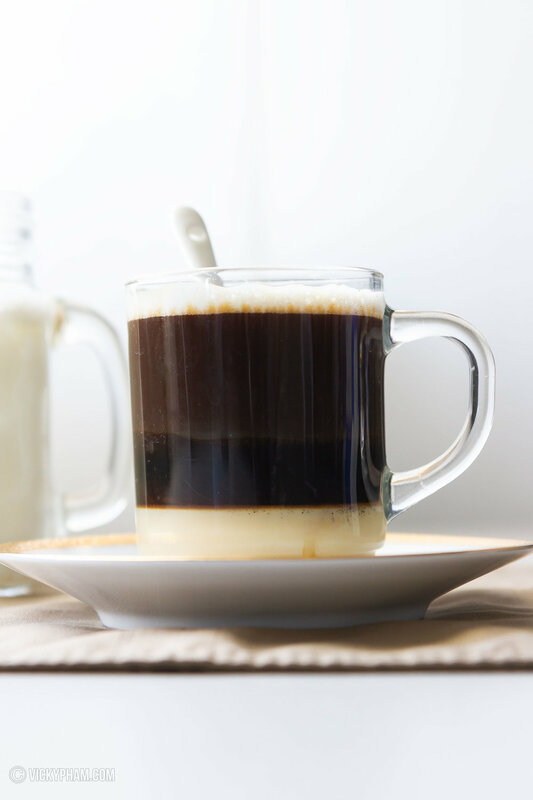 Nowadays Vietnamese coffee is synonymous with any coffee sweetened with canned condensed milk. Ca Phe Sua Nong is made with dark roast coffee individually brewed with a small metal drip filter called a phin. 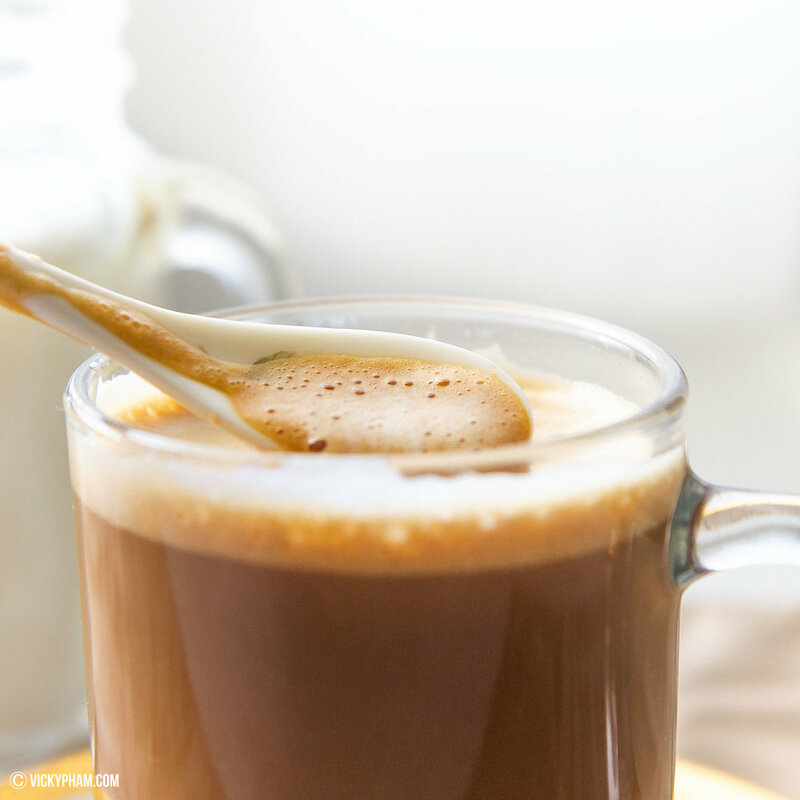 The coffee slowly drips into a cup of sweetened condensed milk then stirred. To keep the drink hot, the cup of coffee sits in a hot water bath as it slowly drips. Vietnamese coffee is meant for lingering. Chat with a friend, eat a bowl of Pho Bo (Vietnamese Beef Noodle Soup), or contemplate your existence while waiting for your coffee to finish brewing. In a short cup, add condensed milk. Place cup into a hot water bath using a slightly larger cup or a small bowl. Add a Vietnamese coffee filter (phin) on top of the cup. Remove lid and mini plunger at the center of the brewing pot. Add ground coffee. Replace mini plunger and twist to tighten. Coffee is ready once the hot water completely runs through the phin. Remove lid and use it a coaster for the phin. Stir to mix coffee with condensed milk and enjoy.